Home » 2015 Holiday Catalog » What to Make with the Extra Pieces from the To You & Yours Shaker Cards Project Kit by Stampin’ Up! What to Make with the Extra Pieces from the To You & Yours Shaker Cards Project Kit by Stampin’ Up! Have you ordered the To You & Yours Shaker Cards Kit by Stampin’ Up! yet? If so, you will find that you will have lots of goodies left over after you assemble the 18 cards that are part of the kit. Over the next three days, I am going to show you three different card styles that you can make with the leftovers. They are all fun and very easy to make. After you use the extra pieces, you’ll end up with 18 additional cards! 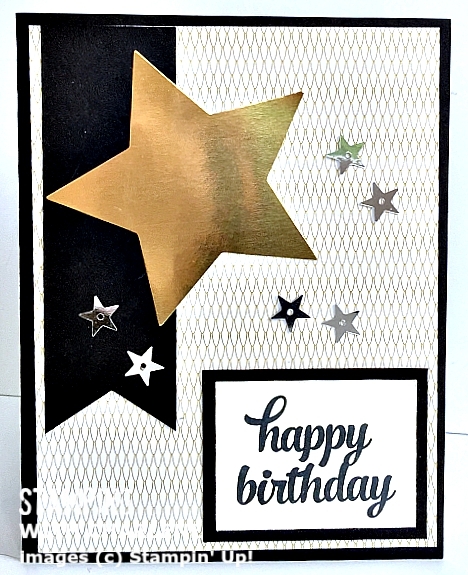 Honestly, it really is always a personal challenge for me to make masculine cards, but with the extra pieces from the To You & Yours Shaker Cards Project Kit, this card came together very nicely. I love putting every little piece of paper to good use. Come back tomorrow for the second card. If you would like to receive an email update whenever I post a new entry, enter your email address in the little box at the top of the right sidebar. I’ll never spam you. Promise!